Feb 22 2013 8:44PM – We are experiencing an issue with Storage Worldwide and this is impacting all dependent services. We are actively investigating this issue and working to resolve it as soon as possible. Further updates will be published to keep you apprised of the situation. We apologize for any inconvenience this causes our customers. Feb 22 2013 9:30PM – We identified that HTTPS operations (SSL transactions) on Storage accounts worldwide are impacted. We are actively investigating this issue and working to resolve it as soon as possible. Further updates will be published to keep you apprised of the situation. We apologize for any inconvenience this causes our customers. 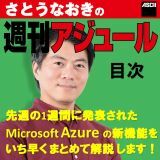 Feb 22 2013 9:45PM – Access Control v2, Service Bus, WindowsAzure.com and WebSites services are impacted by Storage service degradation worldwide. We are actively validating the recovery steps to resolve it as soon as possible. Further updates will be published to keep you apprised of the situation. We apologize for any inconvenience this causes our customers. Feb 22 2013 10:15PM – We are currently validating the repair steps in our test environment. Further updates will be published to keep you apprised of the situation. We apologize for any inconvenience this causes our customers. Feb 23 2013 12:15AM – We have initiated the recovery on some of the impacted clusters. This is expected to take a few hours. We are also validating faster recovery options. Further updates will be published within 2 hours to keep you apprised of the situation. We apologize for any inconvenience this causes our customers. Feb 23 2013 2:15AM – The test deployments on two of the impacted storage clusters are making steady progress. We are evaluating accelerated repair options to mitigate the impact as soon as possible. We expect to finalize the repair steps within 2 hours, at which time we’ll be able to provide more details. We apologize for any inconvenience this causes our customers. Feb 23 2013 4:15AM – The test deployments on two of the impacted storage clusters are making steady progress. We finalized the accelerated recovery steps and will execute them on remaining Storage clusters. Further updates will be published within 2 hours to keep you apprised of the situation. We apologize for any inconvenience this causes our customers. Feb 23 2013 5:30AM – We executed repair steps to update the SSL certificate and majority of our customers are likely to notice recovery. Further updates will be published to keep you apprised of the situation. We apologize for any inconvenience this causes our customers. Feb 23 2013 7:30AM – Restoration of Storage service is complete on majority of the clusters in the sub-region and we are monitoring SSL traffic. We will continue to monitor the health of the service and address any intermittent failures before declaring the sub-region fully recovered. We apologize for any inconvenience this causes our customers. Feb 23 2013 9:00AM – We have executed repair steps to update SSL certificate on the impacted clusters and have recovered to over 99% availability across all sub-regions. We will continue monitoring the health of the Storage service and SSL traffic for the next 24 hrs. Customers may experience intermittent failures during this period. We apologize for any inconvenience this causes our customers.